← Vote for Tanya Robertson for SD11 SREC Committeewoman! 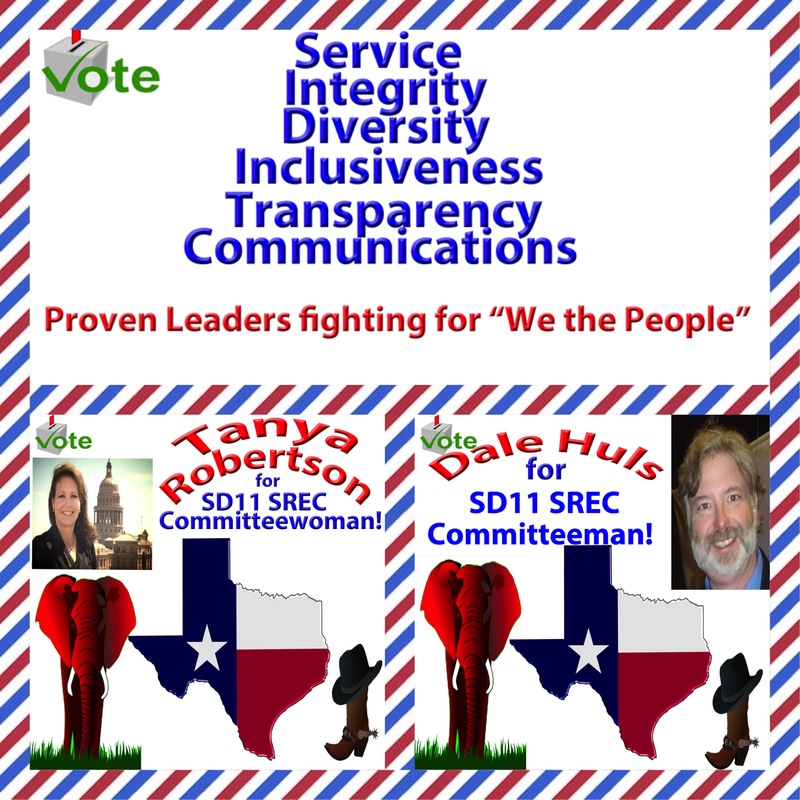 Vote for Tanya Robertson and Dale Huls for SD11 SREC Committeewoman and Committeeman! This entry was posted in Dale Huls, Republican Party, Tanya Robertson, Texas. Bookmark the permalink.